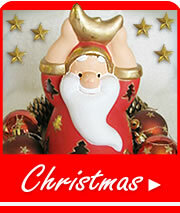 - ribbons in tradional Christmas colours: red, green, white and gold or silver. Wrap ribbons around the wreth. Hang some small christmas decorations together to form a bunch. Use glue if needed. 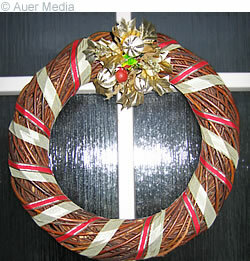 Attach the bunch to the wreath with thread or wire. Tie a hanging wire to the wreath.